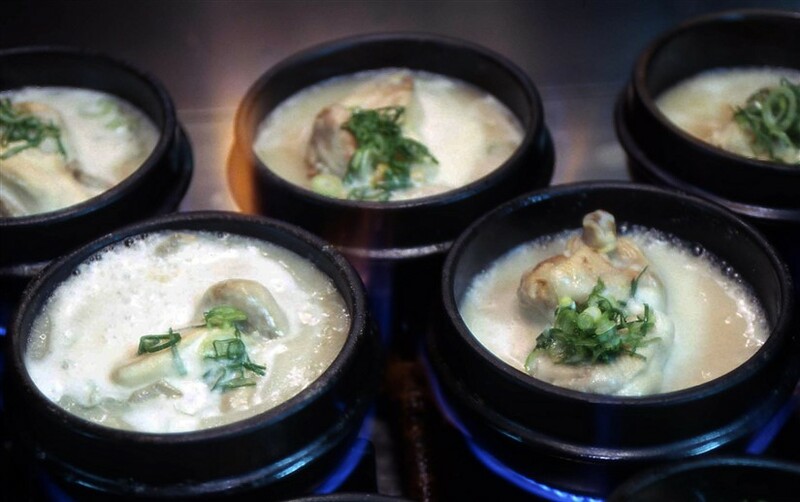 Samgyetang took a while to grow on me, but by the time a restaurant specializing in samgyetang cooked with a special type of wood moved into my neighborhood, I was totally hooked. I think I went at least once every other week for three months. The meat is extra tender and rice inside the chicken makes for a filling meal. Very good! Very hot. You can really taste the ginseng! Great for the summer.